What do magnificent creatures, compelling events, conservation efforts, and on-site activities have in common? The wonderful Jackson Zoo, that’s what! This incredible attraction is located in the heart of downtown Jackson and provides an educational experience for everyone who attends. Whether you love animals or want to spend your afternoon learning something new, a visit to this downtown zoo will make for an enriching experience you won’t forget. As you plan your trip to Mississippi, request a copy of our free Vacation Guide to the Deep South. 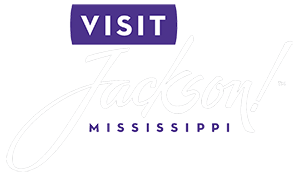 You’ll find our recommendations for downtown restaurants, entertainment venues, and city parks near the Jackson Zoo. The guide also showcases the stunning guest rooms and suites at the luxurious Fairview Inn! Before heading to the Jackson Zoo, we urge everyone to buy their tickets online and avoid the lines! We also encourage everyone to arrive at 8:30 a.m. before the gates open at 9 a.m. This will allow you to explore some of the most popular attractions before the park gets too crowded. Find out more and start planning a visit to the Jackson Zoo you’ll never forget. Once you walk inside the front gates, you’ll see the large collection of beautiful creatures in spacious habitats. The Jackson Zoo houses over 200 species of animals from Africa, Asia, North America, South America, and Australia. In addition, the Jackson Zoo provides a safe haven for 10 endangered animal species. From mammals to birds to reptiles, you’ll learn something incredible about these interesting creatures from all around the world. As you meander through the Jackson Zoo, you’ll see an array of on-site attractions designed to enhance your visit. Ride your favorite animal on the Endangered Species Carousel or take a journey on the Replica Steam Train at Livingston Park. If you’d like to buy a souvenir, stop by the Trading Company Gift Shop. When you purchase something at this gift shop, your money will help support a life-changing cause to save animals. Whether you purchase a fun souvenir or an educational game, you’ll have a wonderful reminder of an amazing day at the Jackson Zoo. If you want to refuel during your day, order something from the Elephant House Cafe. You’ll find a large selection of classic foods like burgers, pizza, and salads and a fridge stocked with cold beverages. Throughout the year, the Jackson Zoo hosts many events that will keep you entertained. One of their most interesting rotating exhibits is the Dinos: See the Past, Protect the Future. This compelling display features animatronic dinosaurs that provide a sneak peek at what life was like millions of years ago! During your self-guided tour, you’ll read compelling facts and new discoveries relating to the prehistoric era. For example, did you know there was once a live volcano in this region? Learn more when you visit this exhibit! Other seasonal events include Zoo Blues, National Zookeeper Appreciation Week, and Boo at the Zoo! After your day of outdoor adventures, make the quick 4-mile drive from the Jackson Zoo back to the Fairview Inn. We invite you to browse our selection of our luxurious accommodations and book your favorite for your getaway. When you stay with us, you’ll be treated to the finest cuisine at our restaurant, total relaxation at our spa, and an inviting atmosphere in our lounge. Plus, our convenient downtown location gives you easy access to all of the fun and excitement of Jackson! With our historic city at your fingertips, why wait to plan your vacation? Book your next Southern escape with us today!